How do I ensure continuous improvement? As I sit back and relax for a few weeks, I have had the opportunity to reflect on some of the projects that I am currently running and the challenges facing them. I am getting back to work in a week’s time and now is the time to think about some new year’s resolutions that can improve my projects this year. As a Project Manager, a majority of my working day is spent communicating with various stakeholders, internal and external. This comes with its own set of problems. I am sure I am not the only one facing the email hell. These days email has become the primary method of communication. So much so, that something written in an email is taken as an agreement, even though it may not give a total picture of a particular communication. 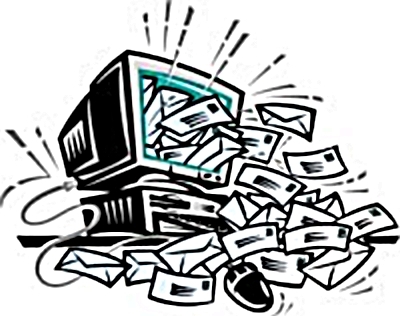 Worse still, the constant stream of emails break the rhythm of any work and leads to many scattered pieces of work, rather than ordered tasks being ticked off as complete. As French tech firm Atos has found out, almost 90% of their emails are time wasters, that on reflection did not need a response. How can I make sure I do not fall into the same traps again in the new year. I do not want to go as far as Atos in setting a goal to banish emails altogether. I have been thinking about checking my emails only 3-4 times a day and each time dedicating half hour to get through the lot. I have set myself a target of only sending small emails with a single topic. This makes it easier for the recipient to focus their attention. After all that is the purpose of all communication. I’m not going to aim for twitter length emails, but probably will try to limit myself to five or six sentences. If I am particularly interested in knowing if someone has read an email, I can always use the read receipt functionality in Outlook. If something cannot wait until my scheduled, it is obviously important and should be communicated through direct contact – phone, Skype or talking to them in person, where you have the undivided attention of the other party. When you think about it, there should be very few things that cannot wait a couple of hours. Another dilemma I face is conducting meetings. This is true for both internal and external. There are cases where many attend the meeting, but do not contribute. In some cases too many attend and want to contribute. Dissenting opinion should never be squashed in projects. But neither should a meeting become a free for all. In cases where many opinions exist, it is more appropriate for each group to consolidate their positions and put forward a representative, so meetings can take place in an orderly fashion. I have found any more than six people in a room is a recipe for not getting a consensus and results in inaction. I have also decided to review before sending out each meeting invite, whether a direct conversation with the stakeholder can achieve my goals. That will ensure people do not sit idle during a meeting. I also plan to be much clearer on what I expect each person attending the meeting to contribute. This requires planning effort on my part to ensure any required reading material is provided in due time, allocations are made in people’s work schedules to look into the material etc. I have seemingly taken on a couple of very simple improvement goals – get better at emails and meetings. In reality it is fundamentally different to the way I approach my daily schedule. I also recognize that small but continuous improvements has a higher chance of success, than radical ones. As the year progresses, I will review if I have indeed got better at this. I am quite keen to know what areas you are targeting for improvement.